Photo courtesy of Homemade at My Place. Here is a fun little craft that uses yarn scraps and a fork. 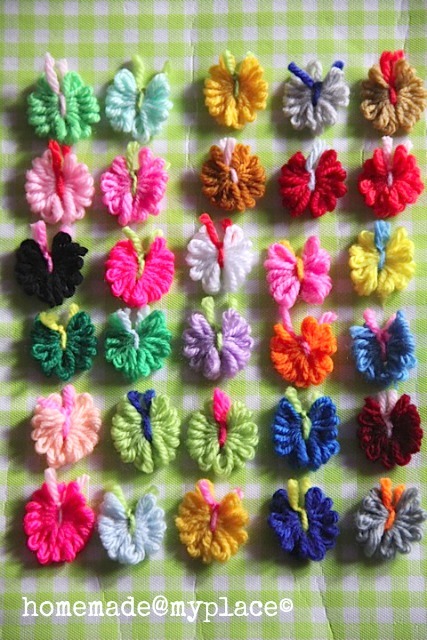 Check out Homemade at My Place's tutorial and make your own Sweet Tiny Yarn Butterflies.